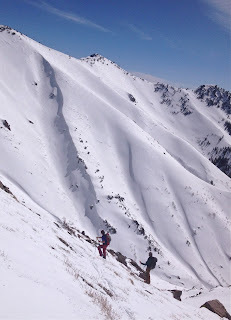 Christine, Murphy, and I took an opportunity to get up to a boulder field in Ogden just above 29th Street on the eastern bench. Hidden Rock is one of my favorite boulders, and we found it unoccupied. As usual, I had to work the night shift at Delta Airlines, so we did a morning session on a Sunday morning. It was a great time. How can you not have fun with two girls like these. 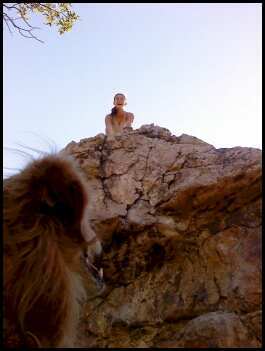 ^Murphy is doing the spotting for Christine while I snap off a photo. Good work Murphy. ^Christine is just barely stepping over the top of the problem that she just nailed. 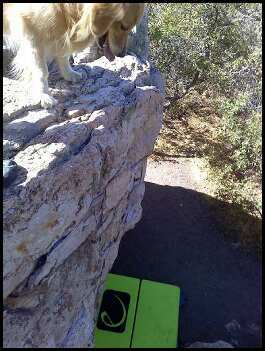 Christine is learning the ins and outs of climbing right now. I am not a huge climber myself, but I know a little, and bouldering is awesome cross training for us. Wait till you see her in a wedding dress with a ripped back, and a pair of smoking guns for arms. Maybe I am crazy, but thats hot. Sorry. ^Murphy is still a bit unsure as to what she is supposed to do when someone tops out. It is pretty funny to watch her try to figure it out. 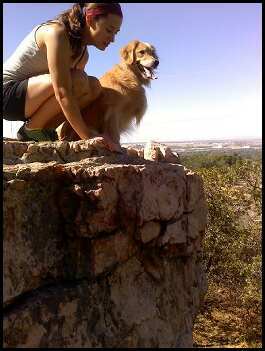 ^Fortunately for Murphy, Hidden Rock has a section on the back side that she can climb too. It is tough work for her, but she makes it. Here she is enjoying the sense of accomplishment with Christine. ^I think that Murphy is scouting a tougher problem for next time. She is pretty stout, but maybe not that much so. She will probably try though. An all around good day with my two best girls. 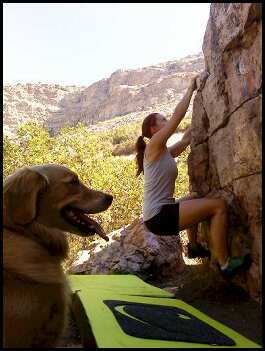 I love mixing some bouldering into the training regimen, because it is a different kind of workout. 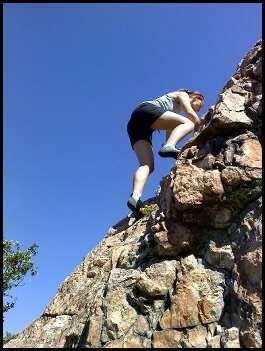 Climbing works a whole separate skill set from mountain biking and trail running. Fantastic core work, which is right up my alley. Stronger...Better...Everyday. To start, all you need is some shoes, a pad and a rock, and your in business. If you never have, then now is the perfect time to start. Indoors even. Click on these goods pictured below, and get on your way.